Pawnee Bill held the first Easter Egg Hunt at his ranch more than 100 years ago. 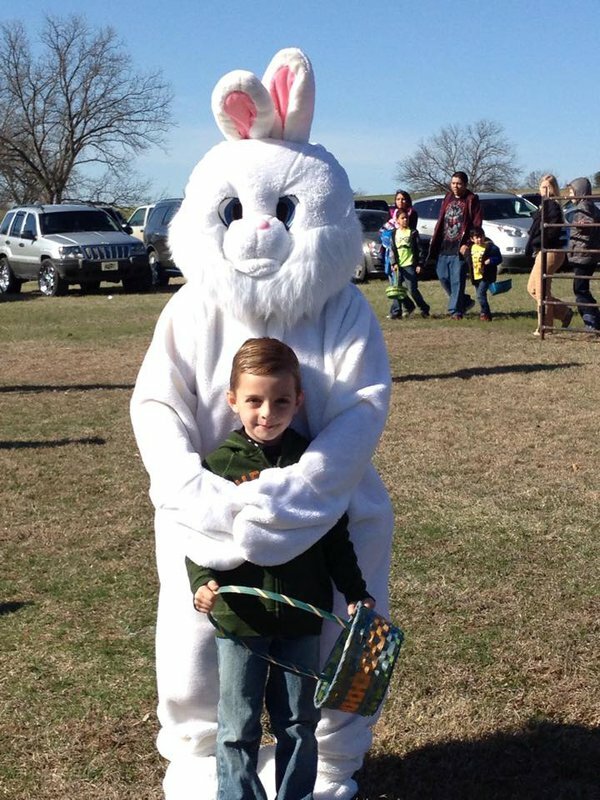 The spring fun continues to this day, held at the Pawnee Bill Ranch year after year. A Pawnee Bill reenactor will fire his pistol on the dot, releasing hundreds of children and families to search for eggs across this historic Pawnee site. Find an egg and pop it open to see whether any cash or treat vouchers are hidden inside. At the end of the hunt, be sure to take the kids to "Pawnee Bill" for a horse ride around the ranch. Gather up the kids and watch as they grab many an egg for their vibrantly colored Easter baskets, and celebrate an annual town tradition along the way. From I-35, take Hwy 64. Exit at Perry, travel east about 26 miles to within 0.5 mi of Pawnee. Turn right to ranch entrance. From Hwy 412, exit at Pawnee/Cushing. Travel north on Hwy 18 to Hwy 64, go 0.5 mi west of Pawnee. Turn left to ranch entrance.